What I keep thinking is: why didn't I know about you? I have needed you and I didn't know. I grew up in the Puerto Rican independence movement, in a home full of books, speaking English and knowing other families who did, pacifists, university people, circles you would have moved through. I am a poet, a translator, a feminist historian studying women's resistance, women's voices, and I never heard that Luis Muñoz Marín had a first wife, far less one like you. But of course I know the answer. I understand how we are disappeared from history, from literature, from print. It fills me with fear, with rage, with grief, with a righteous fury of intent that you be known. Your life is too close to mine for this to be some academic exercise, a cool assessment of your place in the various scales of importance. You are important to me. That is the story I am going to tell. People who are intending praise say that you became Puerto Rican, that you were Puerto Rican in your heart, that you were, for all practical purposes, native, but I know you are something more rare. There are people who move into the cultures of others with such grace and respect that the friction of foreignness virtually disappears, who can unselfconsciously love the unfamiliar as if it were the most natural thing in the world. It is clear in the way people speak of you, and in the tracks of the life you lived, that you were one of them. You entered Latin America this way again and again, through political action, through marriage, through poetry, through the paid work of communication. It is a gift of relationship that requires a certain boldness of affection, and a generosity and curiosity towards the variety of humankind. I grew up embedded in two entwined stories of "Americans" who also had this gift, who married into Puerto Rican politics, and made children, richly woven lives, deep-rooted alliances. 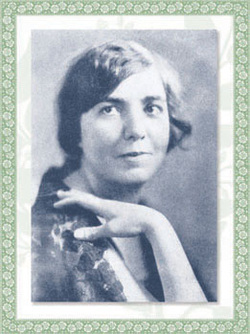 The first, Jane Speed, was a white woman and radical from Alabama who married communist labor leader and journalist Cesar Andreu Iglesias, and came to Puerto Rico with her mother Mary Craik Speed in 1937. She had long red hair that she wore in a braided crown on her head, straightforward strong good sense, and she was an organizer with the originality and nerve to become a Tampax sales rep because the moment she mentioned her reason for visiting a rural household, the men disappeared and she could talk to the women alone. The second was my Brooklyn Jewish father, Richard Levins, who married my Spanish-Harlem-and-the-Bronx Puerto Rican mother in 1950, and came to the island the following year, where Jane and Cesar became their close friends and political comrades. And my father, who knew only a few words of Spanish, decided that his high-school Latin would be close enough, and unabashedly blundered his way into fluency, drinking unbelievable amounts of coffee in the cause of organizing coffee workers and small-scale farmers in the wilds of Yauco and Maricao. I grew up in the house Jane and her family had built on our farm, and because she and her mother loved flowers as you did, I grew up among the forget-me-nots and gladioli they planted, which persisted among the upthrusting spears of ginger and tangled hibiscus, decades after they were gone. But most of all, I grew up within a legacy of joyous border crossings, of knowing we have the right to love anyone, to learn any language and speak it, to offer ourselves wherever we choose. And this makes you my kin. I also grew up in a house full of books, with parents who read poetry aloud, in English and Spanish, and those rhythms saturated my earliest sense of language. Most of them were men, but men of many countries, writing in many languages, translated into our reach. I read Bertolt Brecht and Nazim Hikmet, Pablo Neruda, Antonio Machado, and the Eighteen Laments of Tsai Wen Chi. Bad translations irritated me almost physically. I was still a child when I began revising the English versions of Neruda in the bilingual editions we owned, and ached to know what might have vanished from the German of Brecht's poems in order to preserve their rhythm and rhyme. I recognize your need. You had entered our world. Once you had read and loved the poems, the itch to make them audible to others, to bring something back, must have been irresistible. I remember vividly my discovery, in college, of the first good translations of Neruda, my relief that someone had done the work, that I could share the beloved poems unfrustrated, and that I didn't have to learn the difficult art myself. I know what it takes. That talent for relationship, akin to listening. A keen awareness of subtlety in language. A touch that is sensitive and bold. Respect for the poet, honest intent, meticulous faithfulness, reckless daring, acknowledgment that the task is ultimately impossible, and joyous in the attempt. You wrote of translating from the Spanish that the poetry "is only partially translatable — that is, so much of its beauty depends upon the intricately braided jet and silver of its cadences that a great deal is necessarily lost by translation into a less liquid tongue," both accepting and refusing defeat. Your work is exquisite, your translations breathtaking in their own right, each one a pleasure, another aspect of your talent for love. You were always hungry to know more, share more, kindle excitement in others. You describe your anthology of Latin American poets as a cage full of birds from every climate, a mere suggestion of the vast richness you found in the poetry of a language you acquired in two weeks in order to get a government job as a translator (which turned out to be censoring letters), and came to know as intimately as your own skin. I am full of gratitude for your skill and dedication, for the way you loved our poets and took them home with you, for doing what I lack the patience for, for using yourself to open the border wider, to make gates and doorways and windows through which sounds and images of these other lives could flow. To listen to the other is the beginning of possibility. Like you I devoured books and was devoured by them, scribbled poems from an early age, was encouraged by my parents, struggled for belief in myself, translated the poems of others, was a passionate feminist, disrupted congresses and conventions to make a collective voice heard, loved men who could not rise to the occasion and broke my heart, kept writing anyway, kept finding ways into the work, not only wanted the peace of nations but believed it possible. I look at the good strong bones of your face in these photographs and wish you had been my teacher, wish I had not been eleven when you died, wish we were friends and I could call you, any one of those hundred times a day when I go out against despair with only poetry, personal joy and collective faith, and find them too small for the task. So I invoke you instead. I am standing beside you. It is Havana, 1928, the Sixth Pan American Congress at which the men of the Americas have gathered to make policies and deals, thinking about the fact that you, a white girl born in Mississippi, raised in Oklahoma, are here representing Puerto Rican women, your arms locked with those of Cuban, Peruvian, Brazilian, Costa Rican, Mexican, Argentinean women, all of you insisting on a place at the podium. I can imagine the elation, the rage, the energy, knowing the balconies above, the streets outside, were crowded with Cuban women. Arguing, holding out, pushing harder, finally after a month of agitation, winning the chance to speak, and a mandate to study the legal condition of women in every member state. I remember what it's like. Walking out of the endless monologues of men, teaching birth control in our living rooms to the outrage of male medical monopolies, shouting out loud with thousands of other women filling up hitherto off-limits public space, seeing our own words roll off hand-run printing presses. I am with you, eating together afterwards, laughing, talking fast, exhausted. I am thinking of the year I tried to teach the history of Western feminism on a North-South axis, US, Latin American and Caribbean feminism, not US and Europe, and first heard the names of these women you rubbed shoulders with, Bertha Lutz, Clara Gonzalez, Elena Torres, Minerva Bernardino, Amalia de Castilla Ledón, Paca Navas, Irma de Alvarado. No-one in my class had ever heard of any of them, not a single one. Not the Latin American delegates who put women into the UN Charter, and saw to the creation of the Commission on the Status of Women, not the women who openly balked at the militarization of the continent in 1947, not any of the writers, thinkers, agitators who had struggled not only for suffrage, which came far later to them than to women in the US, and kept them militant through the lull between our first and second waves, but for divorce and child custody, nationality independent of a husband's, national self-determination and living wages, against dictatorships and fascism and the arming of the Americas. But you knew. You had become part of this transnational agitation of women whose loyalties were to each other and not to borders, who were cynical about the political conduct of even their nations' most progressive men, who held meetings, drafted proposals, created commissions, traveled all over the continent, worked out of offices from which hostile men kept stealing the furniture. Who raided scientific conventions, political congresses, the League of Nations, shoving their way into the places where treaties were being made, because they believed this was their best shot at shaming and pressuring governments into making women citizens of their own countries, full human beings under the law, with human rights. This was not some exotic side trip you made. You were right in the center of something most US women knew nothing about, laying foundations for what we were to inherit, for labor laws that were not passed until the year of your death, for the long, unended struggle for the Equal Rights Amendment, for legal and economic rights established after you were gone. You stood in that meeting hall in the winter of 1928 and said, "Every enlightened woman of this hemisphere desires for her sister of another country, the same good which she craves for herself." Your ardent band of delegates to Havana planted the seeds of the UN Decade of Women, of Mexico City and Beijing, of global alliances beyond your reach but within your vision. There is nothing as sustaining as legacy, as foremothers on whose lives we can build. I understand your life. I understand what you made of it. It gives me another place to stand. Then there is the mirror of sorrow. Of being bright, creative, strong-minded, generous-hearted women in love with men who are first entranced by and then cannot tolerate our brightness, who treat us badly, for whom we grieve in spite of ourselves, for whom we are heartsick. It only takes a glance at the outlines to guess that he must have been unable to handle your independence of thought and action, the fact that you had your own priorities, and didn't follow him, were never his shadow. That you went to Washington for the summer to work for the Inter-American Commission of Women, your feminism carrying you into different spheres of politics than his, instead of being the handmaiden to his destiny. I reconstruct from long, bitter memory the sulkiness of offended male ego, the souring of your passion in contempt for his personal smallness, writing to you from New York asking for money when you are scraping to feed the children in San Juan, the ache for the sweet lost bond, the small reconciliations and spurts of hope, the certain knowledge of the other woman, the unbearable pain that you nevertheless bear, first loneliness and then solitude, the putting of one foot in front of the other, the moments of ferocious joy: "I wake to exult that the world is changed — is vivid and salt because we are estranged." I can imagine each gesture of it, the slow earthquake you wrote of, tilting your bedrock into the abyss. I am weathering my own cataclysmic rupture of the heart. The history of strong women, of writers and revolutionaries, is full of these shattered places made by loving men incapable of loving us as we are. The women I look to most are often heartbroken. It's a condition of history, a moment in evolution, that those of us who act most powerfully, who are artists and activists, who take up space and show ourselves to the world, and whose lovers are men, rarely find loves who can stand to be our matches. Emma, Rose, Luisa, Alexandra, Rosa, Jane — when I look at the lives of the women before me who give me strength, I see them mostly torn with grief or stoically alone, powerful and articulate and in pain, unable to have it all. But you didn't die of it. You didn't join the ranks of our suicides or start drinking or stop writing poems or shrivel away into obscurity. You wrote and translated and organized and worked for a living, and went on alone. This hour being worst, I shall be better in an hour! So I have mounted your photographs on a thin piece of wood, with a print of wildflowers, and set you to watch over my desk, because you denied neither love nor pain, neither politics nor poetry, and I am still reeling from my own recent losses, trying to remain whole. So I will learn from you the slow resurrection, the strength in solitude, the writing through, and remember that you were not defeated. We have the poems to prove it. Meadowsweet, Verbena, Spiderwort, Johnny-Jump-Up, Foxglove, Lavender, Columbine, Wild Rose. Choctaw, Creek, Arapaho, Cheyenne, Wichita, Caddo, Ponca, Pawnee, Seminole, Kiowa, Apache, Ottawa, Shawnee, Comanche, Chicasaw, Potawatomi. You grew up reciting the names of Oklahoma wildflowers, but if you spoke of the nations being destroyed around you, no-one has recorded it. It was Indian Territory the year your family came, the most Indian place in the country, full of exiles from the Southeast, refugees from the northern forests and lakes, people of the plains. It was the year the railroad came, and behind it the flood of white settlers pouring into "empty" lands. I know that you saw Choctaw faces in the streets of Hugo every day, but I don't know what that meant to you. The nations don't appear in your poems, but the flowers do. Finds no other way than bloom . . . from "Apology for All That Blooms in Time of Crisis"
Fierce organizer, tireless in the cause, it was poetry, after all, that meant most to you. The delicate shade of rose among the tall grass. The startle of blue. The violets of a first love betrayed. The flamboyánes of San Juan, blazing against the sea. You didn't write agitprop. You wrote about love and heartache and blossom, the early sentiment ripening into a clear, strong voice, acquiring edges, an iron tang. You fought for laws as concrete and mundane as soup on the table or not, and you wrote of the roses, of acacia, of trinitaria against a wall. You said that poetry was as much the daily bread as the white hyacinths of life, insisting that it was necessary, not a luxury, more powerful, in its electric spark, leaping across the gaps between us, than any other form of speech. You used it to heal your broken heart, and to make bridges and pathways between peoples, and it was as essential to you as breath. "Even those whose lives have touched mine most nearly have thought last, if at all, of my poetry." Oh, this is the place I can least bear to meet you, the place I dread in myself. That what meant most to you was least thought of. That you could write to your mentor, H. L. Mencken, "You are, I think, the only person who has ever considered my verse seriously." The more I talk with other women who write, the more I know what that deprivation costs us, the leaching of spirit, the way malnourishment leaches minerals from our bones and teeth and makes them brittle. "I do not think it would have changed the aspect of the world for anyone else if I had not written," you told him, although you knew it would have changed it for you. Yes, I know you loved the work of translation and saw its importance as a different kind of political action. Yes, I know you published your poems in many periodicals which were widely read, that you got good reviews, that reviews you wrote were published in prestigious places, that you made a living writing, editing, reviewing, working as a cultural diplomat, a woman with children, on her own in the 1940s and 50s. All of this matters. But I also know the corrosive, intruding, deadly voice that whispers in the ear of every woman writer I know, belittling, criticizing, stripping, mocking, poisoning the creative moment. You published one book. In 1923. And lamented when it was out of print. You could see to it that Andrade was known, that Storni was recognized, that Mistral was revered, and write, of your own work, to Mencken: "I can only add my hope that you find it worthwhile." This is not a society that honors poets or respects women. I must celebrate that you had the recognition you did, that you survived your battles, that you were not poverty stricken to the point of silence, that your poetry is there to be found, that this book is possible. But I cannot find it enough. Sitting alone with my writer's block and the rent due, my email box and date book filled with the endless clamor of obligation, of invitations to give away my time or sell it cheap, with the urgent disasters of the world crying out for eloquence and spirit, it takes a strength I don't always have to let myself bloom in a time of crisis and do what means most to me. I am a different poet than you. The flowers and politics coexist in my poems. I write of war and heartbreak, blossom and atrocity, and I take my poems to the street as often as I speak them from a lecture hall podium. But my struggle is no different from yours. I have not published the half of what I've written, or written a fraction of what I could. It is far easier for me to fight for the voices of others than for my own. I am underpaid and tired, and though I can raise the hairs on people's arms with the passion of my defense of poetry and of hope, I don't always believe it matters that I write. Here is the final gift of this encounter. What is not enough for you is not enough for me. I have needed you as another Anglo-rican living in the tidal zone between cultures, and as a foremother to my radicalism, my Latina feminism, another strand to add to my sustaining sense of history. I have needed you as a woman surviving the loss of love through her own strength of spirit, and a woman artist carving a public place for herself in an earlier time, when fewer of us did. I have needed your mix of militancy and prairie wildflowers, your defense of simple blossomings, your willingness to engage the intricacies of love and keep stealing back the desk and chairs from which you agitate for women's lives within the law. I have needed your expansive sense of "we," so desperately absent from the evening news, the Pan Americanism of your day that would have been a global sense of mutual responsibility today. I have needed this sense of companionship across time. And I have needed what I know right now, writing of you at two in the morning while rain drums on the roof. I hope that future generations of women writers will have lives so much easier than mine that they will instantly perceive barbarities of my situation I don't see, because I can't imagine their absence. Perhaps it will be inevitable that some future woman, writing of me after I am dead, will feel the grief for me I feel for you, and be angry that I didn't have more. But I am looking back at you, and thinking that this is how I will honor you. I will say that my writing matters, and I will write, before laundry, before phone calls, before editing jobs and lectures, through grief and worry and distraction, whether I am intimately loved or not, and I will publish every way I can, so no-one will have to hunt through out-of-print periodicals and attics full of boxes to find me. Militance is easy for me, but blooming without apology is hard. The world is full of opportunities to be of use, but I believe with you that poetry has a special power to reconnect our severed bonds, and I will practice it, because for myself and also for the world, you have reminded me that poetry is bread.